All women over the age of 21 years, living in Anne Arundel County and its vicinity, are invited to attend the New Member Open House and apply for membership to the organization’s Fall 2018 provisional training class. The New Member Open House offers prospective members the opportunity to learn about the mission and activities of the Junior League, as well as the chance to speak with current members about their volunteer and social experiences within the organization. 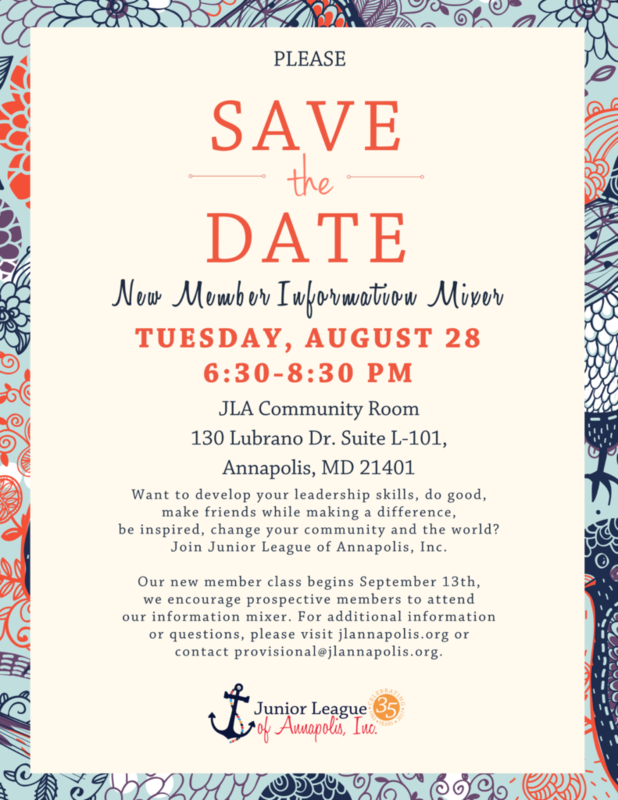 For details on the New Member Open House, please contact the Chair of Provisional Committee, Mary Going, at provisional@jlannapolis.org. You may also contact Junior League of Annapolis, Inc. at 410‐224‐8984.